Battersea Heliport, now known as The Barclays London Heliport is warning that landing slots for the Olympic Games in July are rapidly getting filled. Spectators and visitors looking to fly into London to avoid the queues need to book their helicopter flights sooner rather than later. Battersea Heliport is in a strong position as it is the only aviation hub in central London (aside from London City Airport) with an exemption to the No Fly Zone during the Games. General Manager Simon Hutchins said “A growing number of bookings are being logged for the Olympics period and now we are urging both operators and charter brokers to hurry and confirm their slots.” There may also be a possible temporary closure of airspace or helicopter routes at little or no notice at any given time – for example during the Opening and Closing ceremonies. Batttersea Heliport was bought and renamed as the The Barclays London Heliport in February 2012 by the owners of London Oxford Airport. They are offering reduced landing fees for anyone looking to fly by private jet into London Oxford Airport and then on to central London by helicopter. 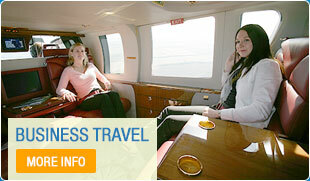 If you are interested in this offer, please contact our private jet hire partners, Global Air Charter. Call Atlas Helicopters now on 01256 635000 or see our contact page for a no obligation quote.